Three suspects have been apprehended by the police in Lagos following their ‘purported’ involvement in the death of their brother. 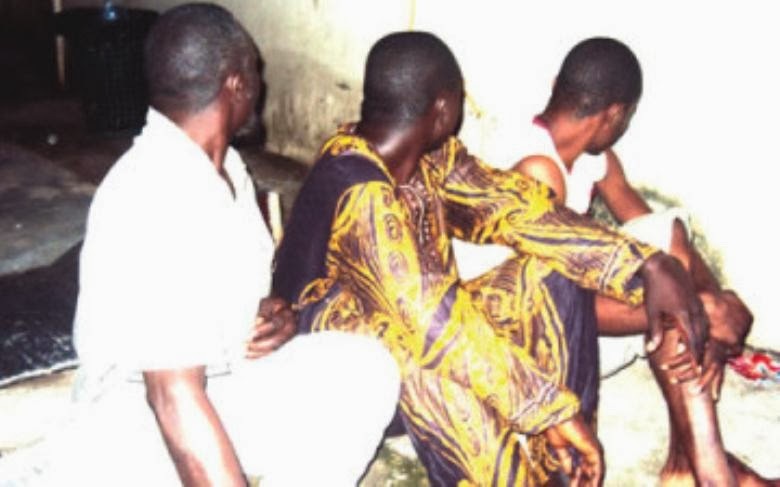 Fatia Osun, 31; Sakiru Osun, 20; and their step-brother, Tunji, 34, were said to have taken the life of their brother, Yusuf, 27, owing to a disagreement regarding the proceeds of the sale of their father’s house. The deceased was said to have been murdered by Fatia Osun, a Muslim cleric popularly known as an ‘Alfa’. He was alleged to have connived with his younger brother, Sakiru, to kill Yusuf so that they would share the money made from the proceeds. The late Yusuf was reportedly strangled with a 2.5mm wire by Fatia while his other brothers allegedly stabbed him. After the murder, Tunji, who is the half brother to the deceased and the two others, was said to have sent a text message to a neighbour, telling him that Yusuf had passed away. He reportedly informed the neighbour that Yusuf got drunk, slipped in the bathroom and hit his head on an object. However, his story was not believed by the neighbours as the deceased was not known to be a drunkard. Out of suspicion, the neighbours entered the house and found Yusuf’s lifeless body with wounds. They (neighbours) alleged that Tunji assisted his brothers in moving Yusuf’s body to the bathroom and cleaning out the sitting room, where the incident had occurred. At this point, the crowd turned into a mob, and beat up the brothers before informing the police who promptly arrested them. According to neighbours, the brothers’ late father had willed the house to Yusuf because of long lasting disagreements that he had with Fatia, the eldest over his lifestyle. But, the neighbours also said that the men’s father failed to leave a written will behind.